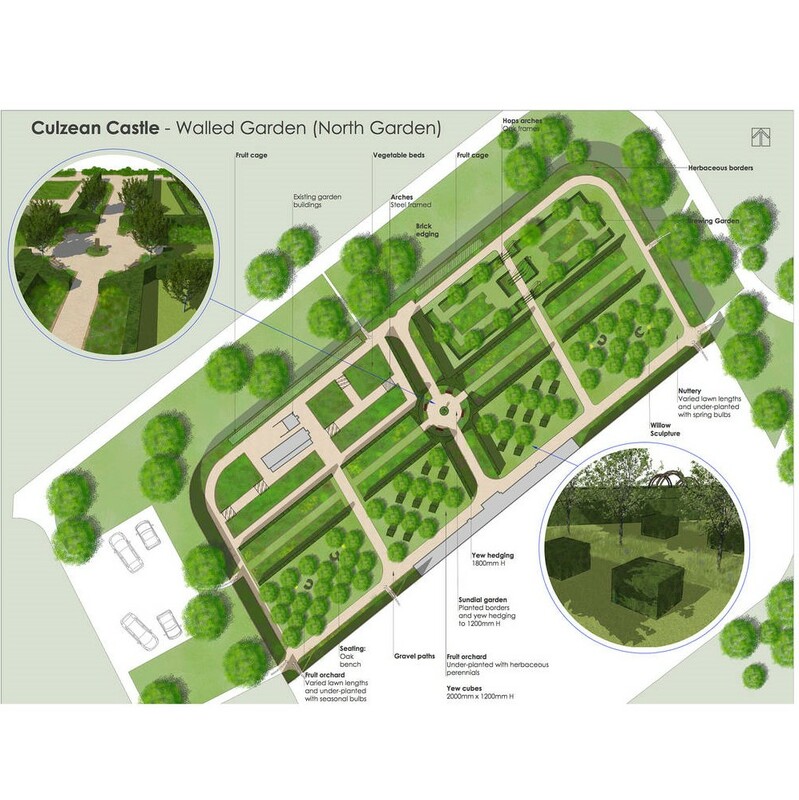 The National Trust for Scotland has begun a two-year project to transform the historic North Walled Garden of Culzean Castle based on structural designs by our studio, Jeremy Needham Garden Designs. 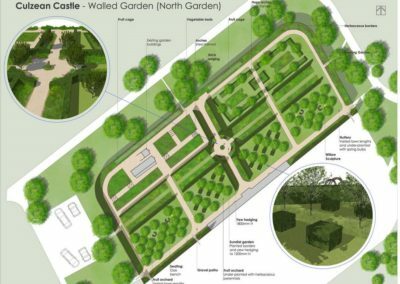 The castle garden was originally built in 1782, and the new design draws upon the proud and inspired heritage of generations of gardeners. 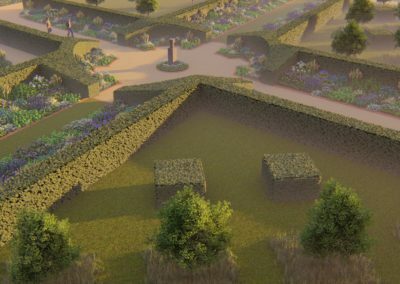 The historic sundial garden which forms the central focal point of this space will be widened using Yew hedging as an enclosing element. 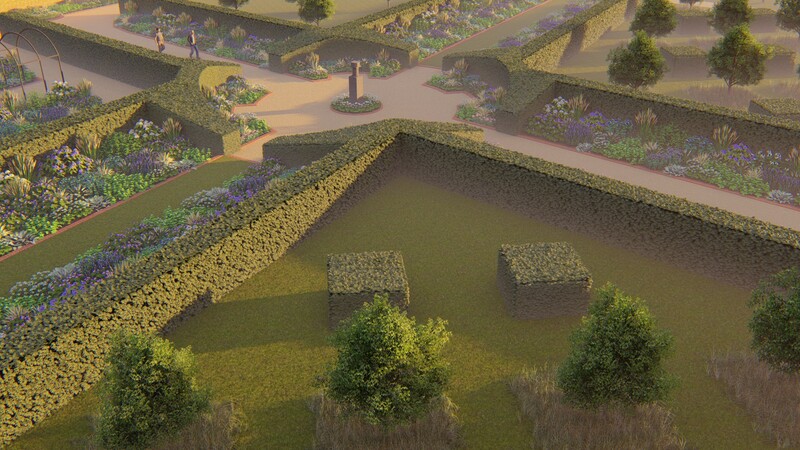 Yew will also be used to reinforce the central and traversing axis across the garden and as cubes punctuating selected lawns within the orchard planting. Other features of this castle garden restoration include a nuttery, orchard with wild planting and sculptures.